The Sulitest was designed to measure and improve sustainability literacy worldwide, and the new Rebalancing Society module challenges test-takers’ knowledge and perception about how the plural sector could help restore balance to society towards achieving the future we want. 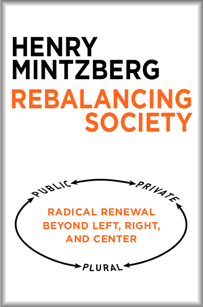 The Rebalancing Society module will be made available to all institutions participating in the Sulitest, and free of charge for all signatories of the Principles for Responsible Management Education (PRME) network under the United Nations. "It is an honor to collaborate with McGill University, building on the work of Professor Henry Mintzberg that enriches Sulitest. In just a few years, Sulitest has become the international benchmark in the control of SD knowledge in higher education. Thanks to PRME, the Sulitest will see an additional boost, beneficial for the advancement of sustainable development knowledge." - Thomas Froehlicher, Director General and Dean of KEDGE Business School. Launched at the 2007 UN Global Compact Leaders Summit in Geneva, the Principles for Responsible Management Education (PRME) initiative is the largest organised relationship between the United Nations and business schools, with the PRME Secretariat housed in the UN Global Compact Office. With some 300 buildings, 40,000 students, 250,000 living alumni, and a reputation for excellence that reaches around the globe, McGill has carved out a spot among the world's greatest universities. Founded in 1821, McGill is ranked 1st in Canada among medical-doctoral universities for twelve consecutive years (Maclean’s 2017), and the highest number of Rhodes Scholars (142) and Nobel Prize winners (12) among Canadian universities. McGill is recognized by Times Higher Education as an international powerhouse university, and ranked 32nd in the world (QS World University Rankings 2018). McGill has over 300 programmes of study, including the Desautels Faculty of Management: founded in 1906, Desautels is ranked as one of the world’s top international business schools by BusinessWeek, Canadian Business, Forbes and The Economist. KEDGE Business School is a French management school with 4 campuses in France (Paris, Bordeaux, Marseille and Toulon), 3 abroad (2 in China in Shanghai and Suzhou, and 1 in Africa in Dakar) and 3 associated campuses (Avignon, Bastia and Bayonne). The KEDGE BS community counts 12,600 students (including 25% foreign students), 183 full-time faculty members (44% of which are international), 275 international academic partners and 54,000 alumni across the world. With a portfolio of 32 programmes in management for students and executives, KEDGE Business School also develops customised educational programmes for specific corporate needs worldwide. #33 European Business Schools and #22 EMBA worldwide in Financial Times rankings, KEDGE Business School is AACSB, EQUIS and AMBA accredited and a member of the French Conférence des Grandes Écoles. 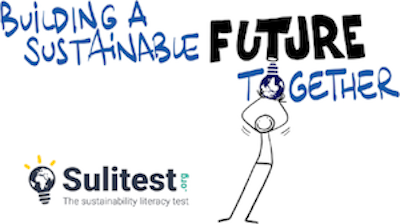 The Sustainability Literacy Test », Sulitest, was created following the United Nations Conference on Sustainable Development, RIO + 20 with to the support of the Higher Education Sustainability Initiative (HESI). Initiated by KEDGE, Sulitest is already used by more than 600 universities and Business Schools in the world and has been taken by more than 60.000 people.Recognized as one of the 17 featured initiatives on United Nations partnerships for Sustainable Development Goals (SDGs), Sulitest is now one of the tools for measuring and monitoring the SDGs.